32.11 Major powers may declare war on opposing major powers at the end of the crisis phase if they exceed the threshold requirement for declaring war and are otherwise permitted to declare war. This determination is made separately for each declaring major power and each major power upon which war is being declared. A. GERMANY: Germany may declare war on Britain and France, and on Russia, if the Nazi-Soviet Pact has not been signed. B. ITALY: Italy may not declare war on other major powers. C. BRITAIN: Britain may declare war on Germany and Italy. D. FRANCE: France may declare war on Germany and Italy. E. RUSSIA: Russia may declare war on Germany if the Nazi-Soviet Pact has not been signed. 32.22 ADDITIONAL RESTRICTIONS: Major power declarations of war are subject to the preconditions set out below in the specific rules dealing with each major power’s declarations of war. May not declare war on a major power until it has remilitarized the Rhineland. May not declare war on a major power in the same turn in which it conducted an aggression. B. RUSSIA: Russia may not declare war on Germany if the Nazi-Soviet Pact has been signed. 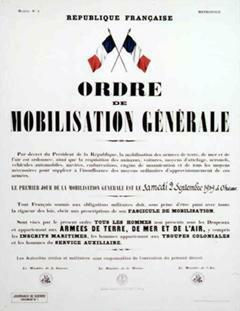 32.31 The threshold requirement for declaring war on a major power must be exceeded to permit the declaration of war. This determination is made separately for each declaring major power and each major power upon which war is being declared. The specifics for each major power are set out below. In calculating whether the threshold requirement for declaring war on a major power is met, the following factors are taken into account. A. BALANCE OF POWER: The Axis-Allied balance of power. B. SUPPORT LEVELS: The support level of the major power declaring war compared to the major power against which war is being declared. C. EUROPEAN AGGRESSION INDEX: The EAI for that turn. A positive EAI favors declarations of war; a negative EAI impedes declarations of war. D. MINOR COUNTRIES: The resistance level of a minor country that is the target of aggression, if a major power is declaring war in support of that minor country (28.11). E. GERMANY’S EASTERN NEIGHBORS: The resistance level of Czechoslovakia and Poland, if unconquered, and, for German declarations of war on the Allies if no Nazi-Soviet Pact has been signed, Russia’s war readiness (32.42D) modify declarations of war by Germany (32.4). The greater the resistance levels and Russia’s war readiness, the less Germany is able to declare war. F. FLAGS IN RUSSIA: Axis and Allied flags in Russia modify declarations of war by Russia (32.7). 32.32 BALANCE OF POWER: The ability of Germany, Britain and France to declare war is modified by the overall Axis-Allied balance of power. A. The Axis-Allied balance of power modifies the ability to declare war on a 1:1 basis (a +1 balance of power advantage gives the favored side a +1 towards declaring war; a +2 balance of power advantage gives the favored side a +2 towards declaring war; a +3 balance of power advantage gives the favored side a +3 towards declaring war, and so on). B. If the Axis-Allied balance of power favors the Axis, German declarations of war are easier and Allied declarations of war are more difficult. Similarly, if the Axis-Allied balance of power favors the Allies, German declarations of war are more difficult and Allied declarations of war are easier. 32.33 SUPPORT LEVELS: The support levels of the major power declaring war and the major power against which war is being declared are compared. A. If the support level of the major power declaring war is greater, the ability to declare war is increased by that amount. B. If the support level of the major power against which war is being declared is greater, the ability to declare war is decreased by that amount. 32.34 EUROPEAN AGGRESSION INDEX: The EAI at the time war is declared is applied. The EAI may modify the ability to declare war by +5 to -5. A. RHINELAND: Germany has remilitarized the Rhineland. B. NO AGGRESSION: Germany did not conduct an aggression in the turn in which it wishes to declare war. 32.42 GERMAN DECLARATIONS OF WAR ON THE ALLIES: Germany may declare war on Britain and France if the net total of the following modifiers is at least +1 with respect to both countries. Germany may not declare war on only one of Britain or France; it must declare war on both or neither. A. BALANCE OF POWER: The overall Axis-Allied balance of power. B. SUPPORT LEVELS: The German support level and the greater of the French or British support levels. C. EUROPEAN AGGRESSION INDEX: The EAI. The resistance levels of Czechoslovakia and Poland, if unconquered, based on modifiers 28.2-28.4 (no 28.5 random tile draw is made). Bordering minor country diplomatic results, treating Poland the same as the other three bordering minor countries (32.72D). B. SUPPORT LEVEL: The German support level and the Russian support level. D. CZECHOSLOVAKIA AND POLAND: The resistance levels of Czechoslovakia and Poland, if unconquered, based on modifiers 28.2-28.4 (no 28.5 random tile draw is made). 32.51 ITALIAN DECLARATIONS OF WAR PROHIBITED: Italy may not declare war on major powers. EXAMPLE: France’s result is +2; Britain’s is -1. France may declare war because the overall result is positive (+1); Britain may not, because its result is negative. If Britain’s result was -2, neither Allied major power could declare war, because the overall result would be 0. No aggressions: Neither Axis major power may have committed an aggression in the turn in which war is declared. An Axis major power that backed down in a crisis after attempting an aggression is considered not to be committing an aggression for the purpose of this rule. The British and French threshold requirement calculations are made normally, without considering the resistance level of the minor country that was the target of the Axis major power’s initial demand. Germany cannot prevent an Allied pre-emptive declaration of war by making an aggressive demand, then backing down. When this happens, the penalties for a failed aggression will later apply, but the legality of an Allied pre-emptive declaration of war is determined as if the aggression attempt had never occurred. a German aggression other than the Rhineland. an Italian aggression other than Ethiopia. Germany: Rhineland (1), Austria (2), Sudetenland (1), Danzig and the Corridor (1) Baltic States (2), Czechoslovakia (including the Sudetenland) (3), Poland (including Danzig and the Corridor) (4). Italy: Ethiopia (1), Albania (1), Greece (2), Yugoslavia (3). No second aggression: If the target Axis major power has committed no more than one aggression (Germany: Rhineland; Italy: Ethiopia), Britain and France must both be fully mobilized, having converted all their factories to military use. Second aggression: If the target Axis major power has committed a second aggression, Britain and France need not be fully mobilized to declare war. Temporary support increases not counted: Temporary Allied support increases from Axis aggressions and pre-emptive declarations of war (10.71B, 10.81B) are not taken into account in determining whether Britain and France meet the threshold requirement to declare pre-emptive war in a turn in which neither Axis major power is committing an aggression. A. BALANCE OF POWER: The overall Axis-Allied balance of power (32.32). B. SUPPORT LEVELS: The British or French, and German or Italian, support levels, as the case may be (32.33). C. EUROPEAN AGGRESSION INDEX: The EAI (32.34). D. MINOR COUNTRIES: The resistance level of a minor country that is the target of aggression in the turn in which war is being declared. 32.63 GERMAN DECLARATION OF WAR ON RUSSIA: If Germany declares war on Russia, Britain and France may retaliate by declaring war on Germany if they meet the threshold requirement. Russia’s war readiness (32.42D) is added to the Allied totals. D. Russia has reached full cohesion. A. SUPPORT LEVELS: The Russian support level and the German support level. B. EUROPEAN AGGRESSION INDEX: The EAI. C. FLAGS IN RUSSIA: +1 for each Allied flag in Russia; -1 for each Axis flag in Russia. Finland, Rumania, Turkey and Poland: -1 for one or two Axis flags, -2 for an Axis trade pact; +1 for one or two Russian flags, +2 for a Russian trade pact; Allied flags are ignored. Poland is treated like the other three countries unless it is the target of German aggression in the turn in which Russia seeks to declare war, in which case 32.72E applies instead. Russian flags in non-border countries: +1 for one or two Russian flags, +2 for a Russian trade pact. E. MINOR COUNTRY RESISTANCE: The resistance level of a minor country that is the target of aggression, if the target of the aggression is Poland or the Baltic States, or a minor country containing at least one Russian flag. F. ALLIED NEUTRALITY: -2 for each Allied major power that is not at war with Germany, either as a result of a German or Allied declaration of war in the current turn. An Allied declaration of war on Italy does not negate this modifier. 32.73 Russia may not declare war on Germany if the Nazi-Soviet Pact has been signed. A. GERMANY: Germany may declare war on Britain and France (32.42) or Russia (32.43) in any turn in which it is not carrying out an aggression. An Italian aggression, whether or not it leads to an Allied declaration of war on Italy, does not prevent a German pre-emptive declaration of war. B. ITALY: Italy may not declare war. C. BRITAIN AND FRANCE: Britain and France may declare war on Germany or Italy in a turn in which the target Axis major power did not carry out an aggression (32.61B). An Allied declaration of war on one Axis major power after an aggression by that Axis major power does not prevent an Allied pre-emptive declaration of war on the other Axis major power. Both Britain and France must be able to declare war. D. RUSSIA: Russia may declare war on Germany in any turn in which it meets the requirements of 32.7. 32.82 TIMING: Pre-emptive declaration of war legality is determined at the end of the crisis phase, after all secret support events have been revealed and after any Allied declarations of war on an Axis major power that conducted an aggression have been made.